The Hakko Air Pump 120 will deliver a mximum of 138 Liters Per Minute. Suitable for ponds up to 12,000 gallons. This is a cast iron body style. It is a small unit with surprisingly high output. Ideal for water depths between 4 to 12 feet deep. Shut off depth is approximately 18 feet deep. 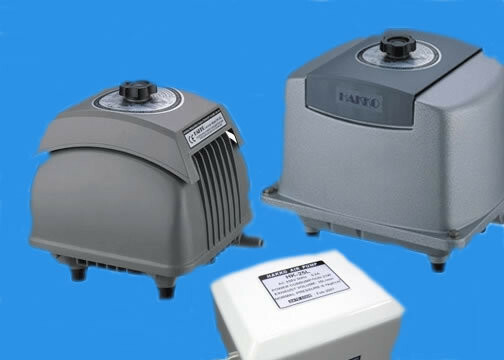 The Hakko air pumps are built to last with a very durable body and mechanics meaning years and years of everlasting quality airflow.